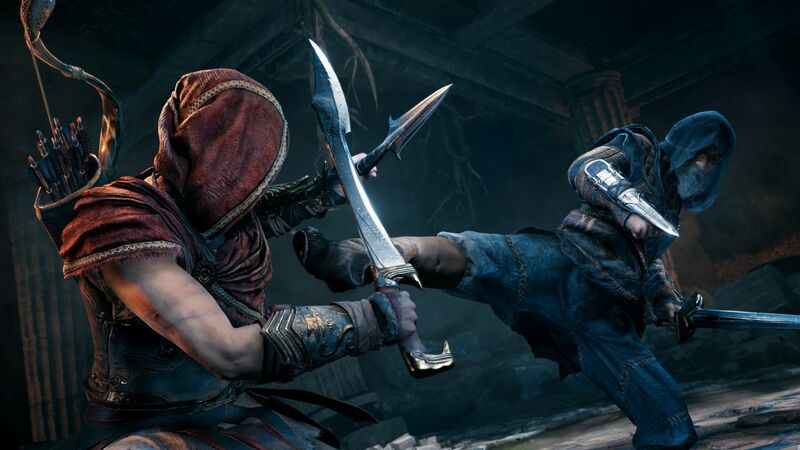 If nearly 100 hours of Assassin’s Creed Odyssey just wasn’t enough for you, Legacy of the First Blade DLC has you covered. Legacy of the First Blade is the story of the Eagle Bearer’s encounter with Darius, the first Assassin to use a hidden blade. He’s on the run from the shadowy Order of the Ancients who are working behind the scenes to control the nearby kingdom of Persia. Like the Cult of Kosmos in the main game, the order’s agents hide in plain sight – it’s your job to uncover them and put a stop to their clandestine activities. The story’s as engaging and charmingly acted as anything else you’ll find throughout the rest of Assassin’s Creed Odyssey, and each section is tight enough not to overstay its welcome – which can’t be said about every chapter of the base game. What’s more, every quest takes place in the northern area of Makedonia, so there’s never a huge distance to schlep over to get to where you’re going. It makes the DLC feel like a well-contained aside with a greater focus on telling a cohesive narrative than pushing you out into the world, which helps it to get up and down without losing focus. The official line is that there’s about five hours of game to get through in Episode 1, which is about right if you do all the side quests and don’t skip dialogue. The DLC missions are available after you’ve reached Level 28 and cleared Naxos in chapter 7 of the main story – it’s not something you’re going to start a whole new character to burn through. But the suite of quests it adds to the open world slot into the rest of Assassin’s Creed Odyssey seamlessly. As a character, Darius certainly looks the part. A lot of Assassin’s Creed Odyssey isn’t very assassin-y, so it’s fun to have the hood and blade make an appearance. He doesn’t get a huge amount of screen-time though, and – an early boss battle aside – you don’t interact with him much. Because of this, even though the revelations you learn about him as the story progresses are interesting, at this early stage I found the investment a little lacking. But with two more episodes to come, that might change. On the gameplay side of things, everything that can be said about Assassin’s Creed Odyssey still applies here. The action, with its mix of timed dodges and special move spam, is still solid. There’s still good variety in the mission objectives – whether you’re searching for clues in the environment Witcher 3-style, sneaking quietly into a fortress full of guards, or beating the sandals off a group of unsuspecting bandits. Even though there are around ten questlines included with the DLC, it feels like Ubisoft has deliberately made it a bit of whistle-stop tour through everything Assassin’s Creed Odyssey has to offer, forcing you to solve mysteries and make tough choices. The setups can feel a bit pedestrian and uninspired, like saving a kid from some bandits or finding the cure for a pestilence, but the payoffs are invariably strong. It all builds to a memorable final boss fight which, for me, turned into a sniper duel about as tough as any other boss in the game. But with all the good, the same annoyances from the base game persist in this DLC too. Your horse, Phobos, still has erratic pathfinding, for example. On top of this, you’ll still finish some combat set-pieces with half a town’s civilians (and the occasional chicken) attacking you because they got aggroed in the crossfire. Other than the story, the main draw of the DLC is probably the whole new menu of Cultists it opens up. There are seven new targets to hunt down, not all of whom are tackled during the central DLC storyline. So if you loved taking out the Cult of Kosmos one member at a time, there’s more stabby-stabby action here. For completionists, or players still making their way through the base game, there are more Legendary weapons and armor pieces to collect – each with powerful, unique engravings. Is it so ground-shatteringly awesome that you should invest in the base game just to play it? Based on this first installment, not really. 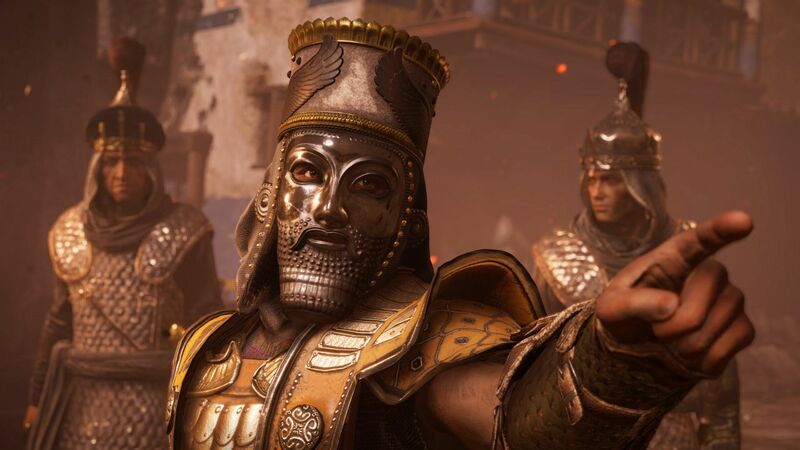 But it’s definitely a worthy addition that’ll appeal to new and returning Assassins, letting veterans spend another few hours on the Peloponnese peninsula with their favourite misthios, or bolstering a first playthrough with yet more diversions from Assassin’s Creed Odyssey’s main quest. It’s always tough to recommend buying an episodic story on the merits of its first part, because there’s still so much left to see, especially when Ubisoft is charging the princely sum of £32.99 for the Season Pass. The three episodes of Legacy of the First Blade form the first half of that pass, with the later half – The Fall of Atlantis – coming later in 2019. I don’t think die-hard fans will feel too aggrieved, but if you’re content with the Olympus-sized mountain of stuff already in Assassin’s Creed Odyssey, don’t feel like you’re missing out at this stage.